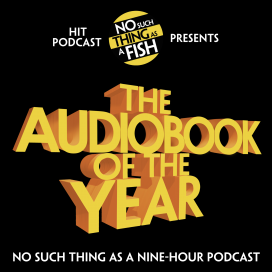 Feature-length edition of the award-winning hit comedy podcast No Such Thing as a Fish. Each week over a million people tune in to find out what bizarre and astonishing facts Dan, James, Anna and Andy have found out over the previous seven days. Now the gang have turned their attention to the news of the past 12 months. Qatar built a refugee camp for camels 2,000 bees were stolen in Beeston The victim of Britain's first ever shark attack ended up with a cut thumb. 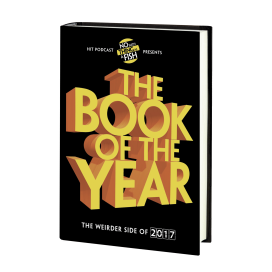 From bizarre arrests to baffling elections, via a surprising amount of sausage news, The Audiobook of the Year is an eye-opening tour of the incredible year you didn't know you'd lived through. The first 52 episodes of the hit podcast from the QI researchers as they share their most interesting facts from each week. 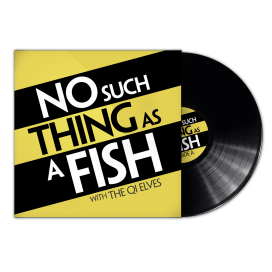 Heavyweight black vinyl record containing a feature length, never-to-be-broadcast episode of No Such Thing As A Fish. 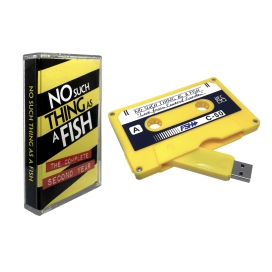 Comes with the full First Year Of Fish album (episodes 1-52) in digital form, unlocked via download code. Listen out for the cameo from Slipknot frontman and QI fan Corey Taylor! 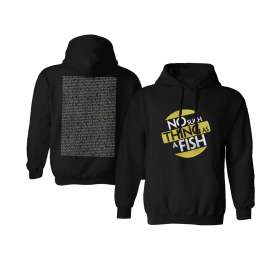 Luxuriant No Such Thing As A Fish hoodie featuring a vast array of facts from the first 100 episodes of your very favourite podcast. Guaranteed to keep your friends behind your back. 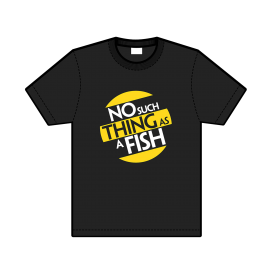 Boasting the handsomely wrought NSTAAF logo in striking black, white and yellow. 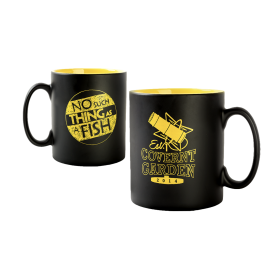 As if snatched from the very desks of the QI Elves, this mug is pretty much the only way to imbibe if you're factually inclined - an absolute must for the well stocked breakfast bar or kitchen table. Follow in the lips of Schreiber, Ptaszynski, Harkin, Murray and co. as we raise a toast to your very good elf! 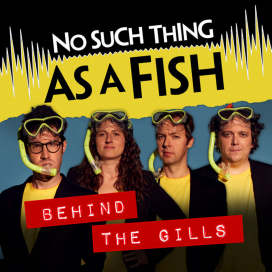 Behind-the-scenes documentary of the hit podcast No Such Thing As A Fish during their recent UK Tour featuring exclusive interviews, live performances and backstage chats. Find out how Dan ruined his school essays, what James's favourite fact is, why Anna once staged a burglary and the rude word that makes Andy cringe the most. 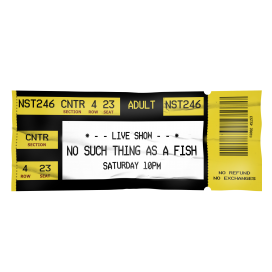 Follow @nosuchthing on Twitter and keep an eye on the Fish Events page for upcoming live recordings, tours and other events. 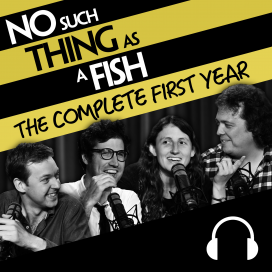 A hilarious guide to 2017’s most extraordinary events, unearthed by the creators of the award-winning hit comedy podcast No Such Thing As A Fish. Each week, over a million people, tune in to find out what bizarre and astonishing facts Dan, James, Anna and Andy have found out over the previous seven days. Now the gang have turned their attention to the news of the past twelve months. Qatar built a refugee camp for camels. The world’s first avocado restaurant ran out of avocados on its first day. The victim of Britain’s first ever shark attack ended up with a cut thumb. 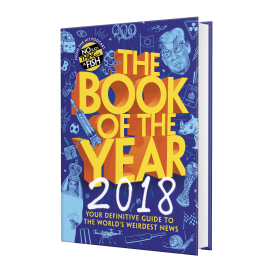 From strange inventions to baffling elections, via a surprising amount of sausage news, The Book of the Year is an eye-opening tour of the incredible year you didn’t know you’d lived through.